Published in 1973, Cypry the Carp broke the mould by which much of angling writing is formed in that it was a work of fiction. 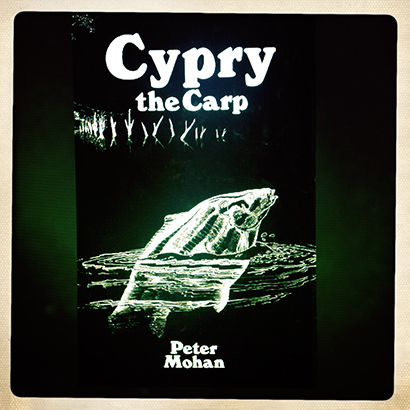 Author Peter Mohan was a carp angler of great note, and though he also wrote numerous non-fiction titles on the subject, it is the tale of Cypry for which many remember him. The story is set on a mature lake tucked deep within the British countryside, and the water itself, and its history, are woven into the ensuing pages. We join Cypry at his birth, as he and countless new shoal mates are spawned in the sunshine. Watching on is Andy, a young angler whose life runs parallel to that of the fish, encountering one another on more than one occasion as their paths seem to entwine as if by fate. There are plenty of adventures for Cypry to cope with. The competitive nature of shoal life, the threat of predation, and the peculiar sense of being hooked.